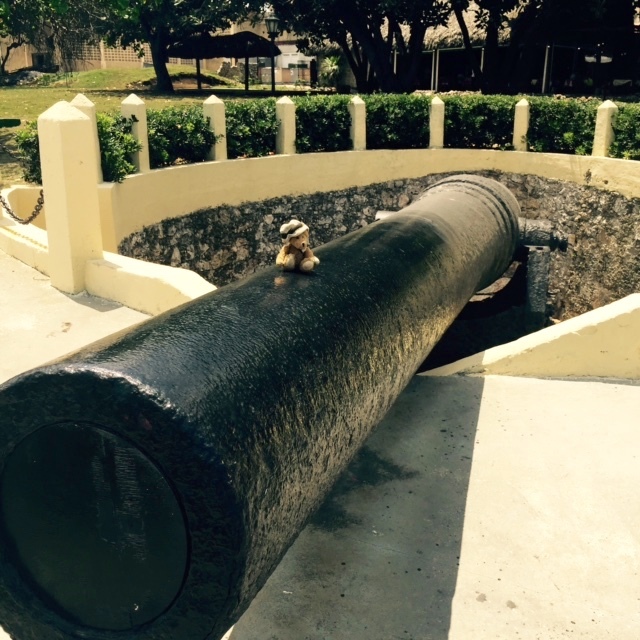 Today Chanel the Bear and her group will spend the day in the port of Cienfuegos, Cuba. She has sailed the eastern and northern coast of Cuba and is now back on the southern coast. Cienfuegos is on a beautiful bay. This is the last port for Chanel and her group of tourists. 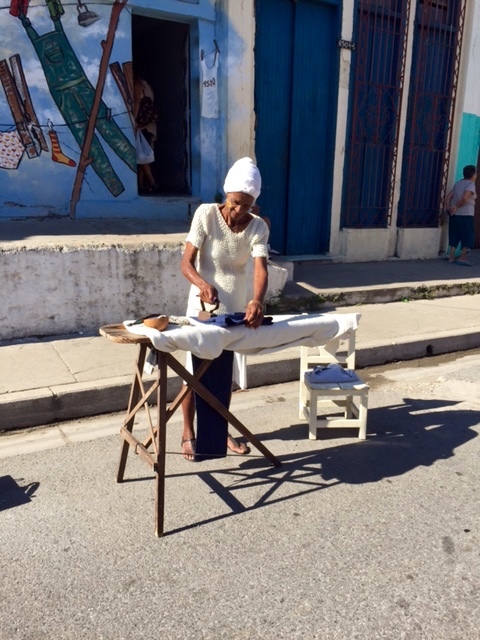 Walking through the streets of Cienfuegos, Chanel saw this lady ironing. If one must iron clothes, this is a beautiful environment to do so. Further along this street artist was painting and chatting with tourists. And this is something seldom seen in the United States now. Phone booths. Before cell phones were invented and so readily available, public pay phones were plentiful. Phone booths were a common sight, but not now. It is nice to see these memories of the past still being used. This is how my friend, Chanel the Bear, spent part of every day. Chanel would always lay in bed and read the daily ship bulletin. Great idea, Chanel. There is such great information in the bulletins. 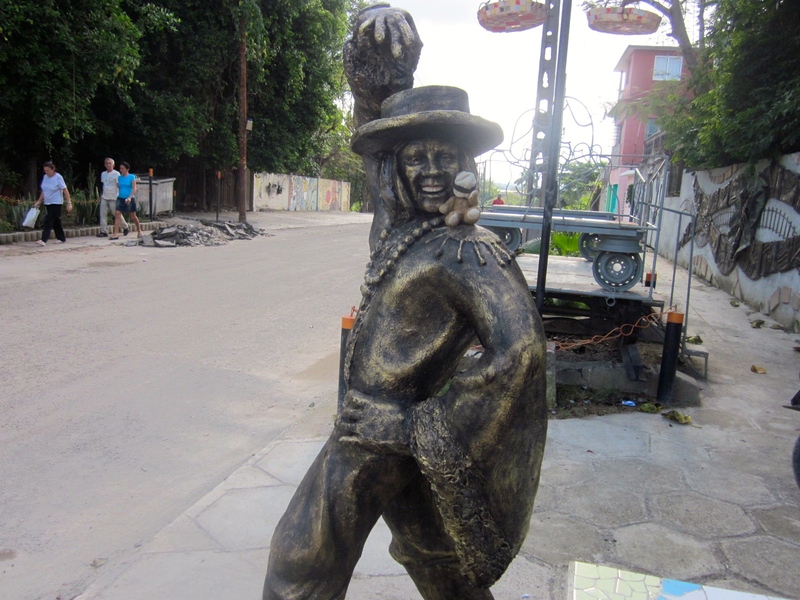 When leaving Cienfuegos, Chanel and her mom, the Tour Manager, will sail back to Montego Bay, Jamaica. This cruise will end and happy tourists will return to their homes. Thanks, Chanel, for the great photos. It was taking us on the cruise with you. 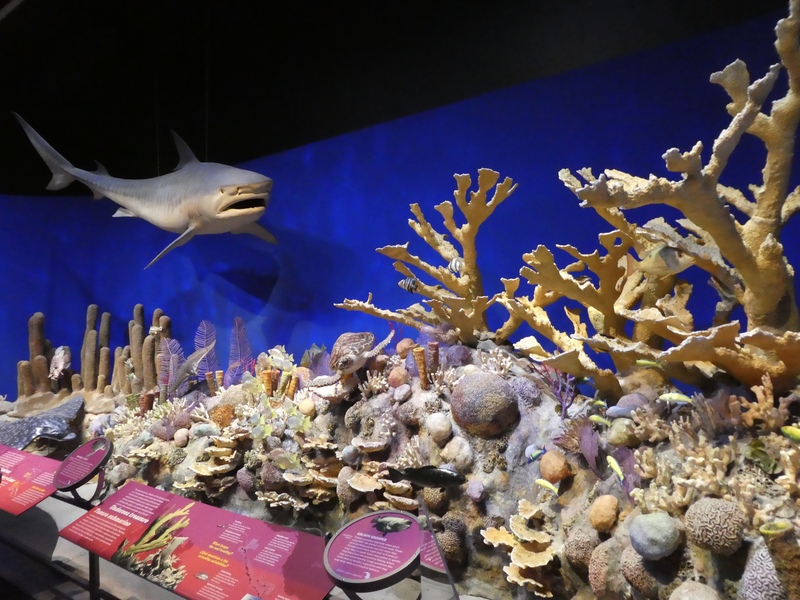 Chanel and her mom had back to back tours from Montego Bay. Chanel’s mom works for Friendly Planet tour company. 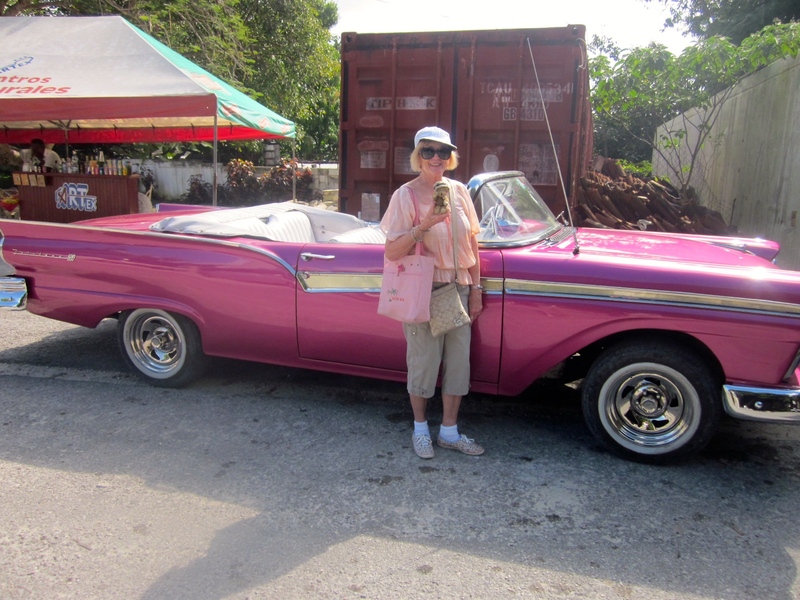 You can get more information about tours to Cuba at http://www.FriendlyPlanet.com As I am writing this, Chanel and her mom are on another cruise around Cuba. 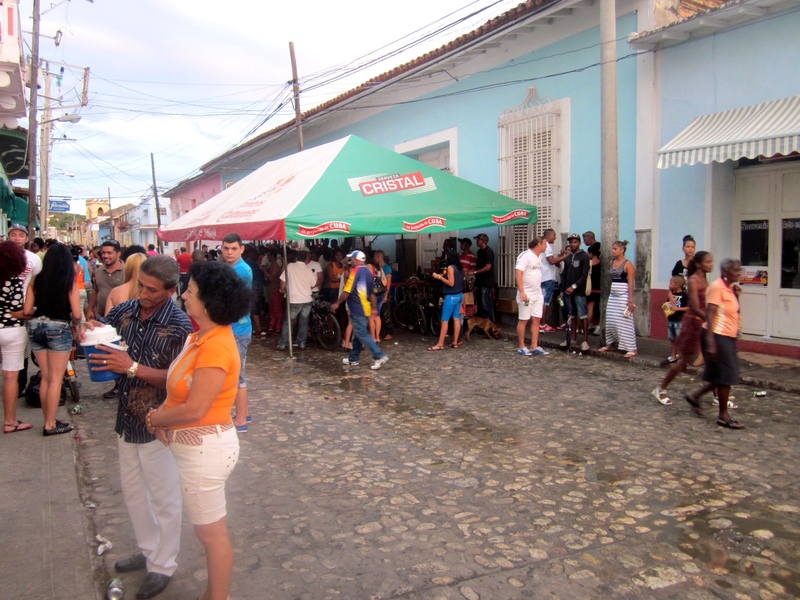 We loved our Cuban tour and hope you will visit Cuba soon. 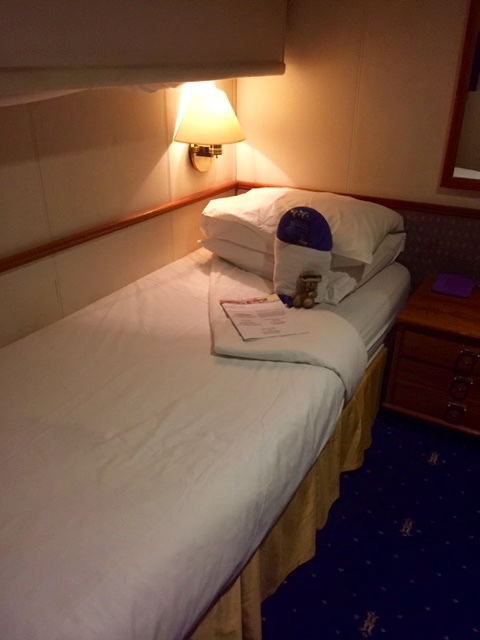 I, Zeb the Duck, want to share with you the photos Chanel the Bear sent from her Cuban cruises. Chanel and her mom, a Tour Manager, are approaching Havana, Cuba now. 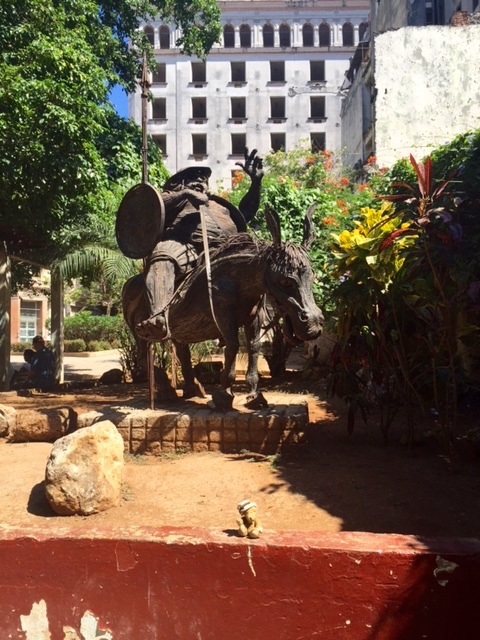 The National Hotel in Havana is old and was a favorite of American tourists in the 1950’s. 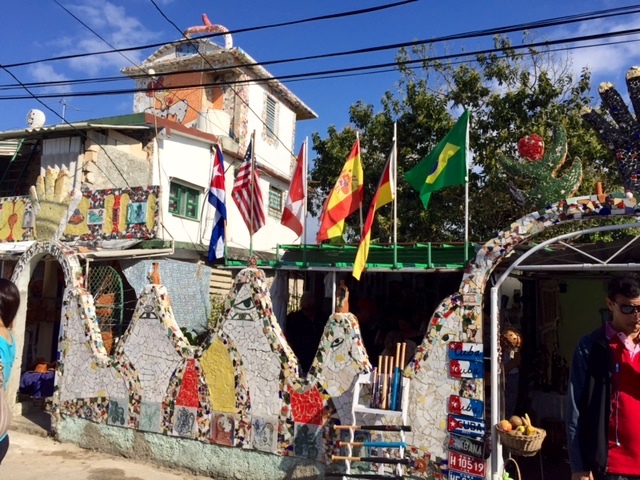 We stayed here when we visited Cuba with Chanel and her mom in December 2013. 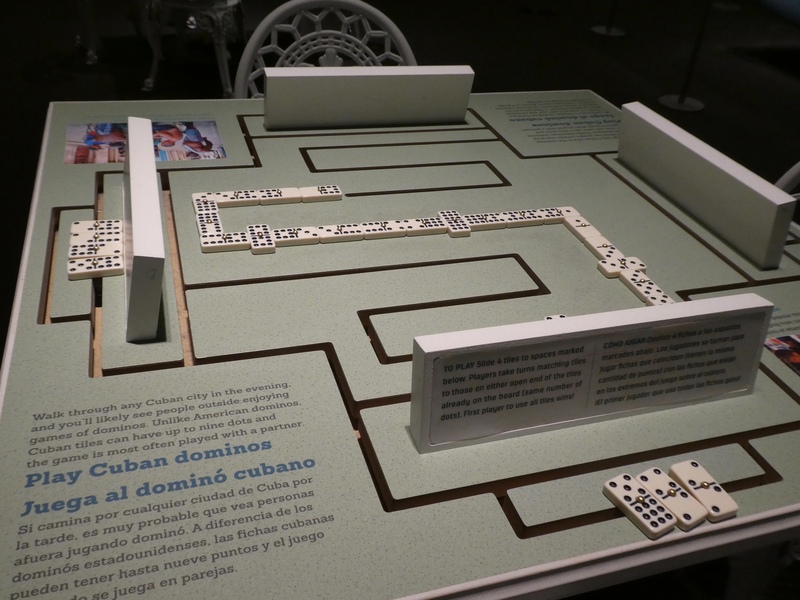 The history, not only the famous American actors, sports figures and others that stayed here, but the canons and evidence of the missile crisis between the United States and Cuba in the early 1960’s, is vast and fascinating. 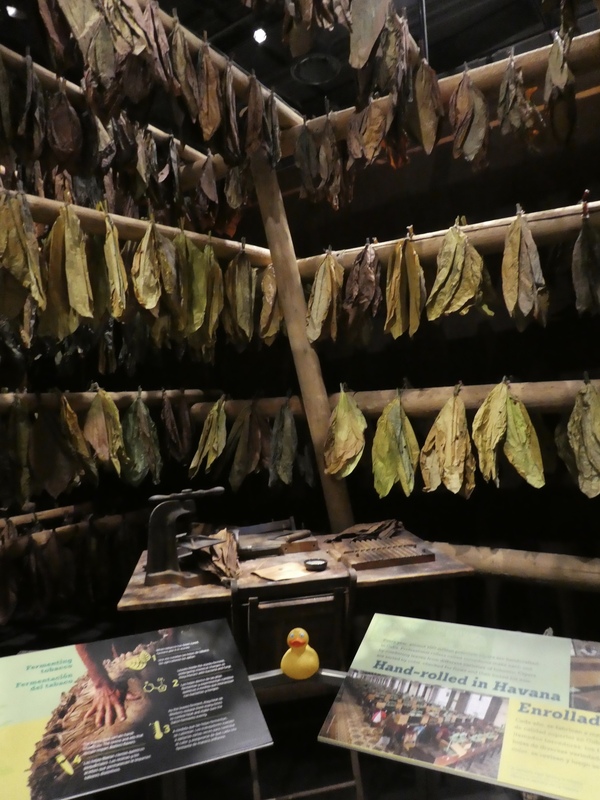 Chanel docks in Havana now and takes us with her. We go to the home of José Fuster, a prolific artist. He has decorated his courtyard, his outer wall, and much of the neighborhood. It is a fascinating place. 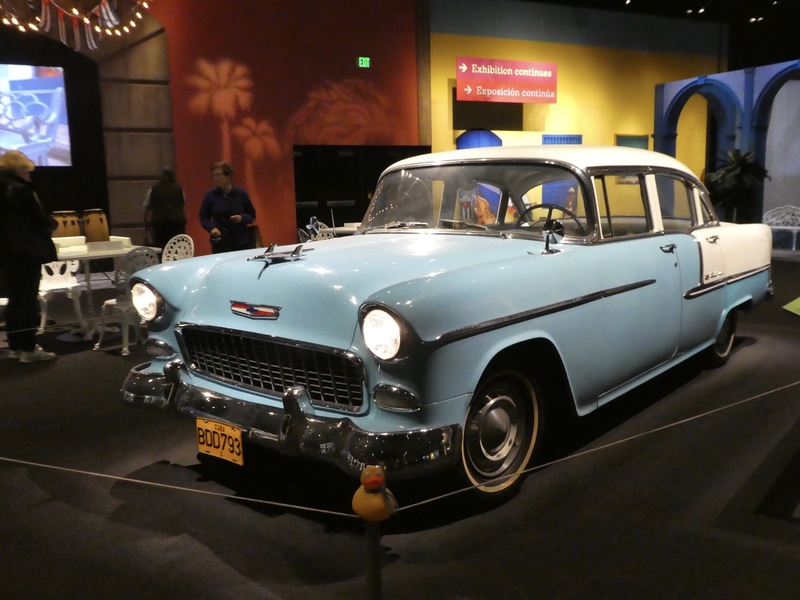 Isn’t this classic car, in front of Fusterlandia fantastic? We love it! And here is a horse cart. Cuba is such a fun place to visit. 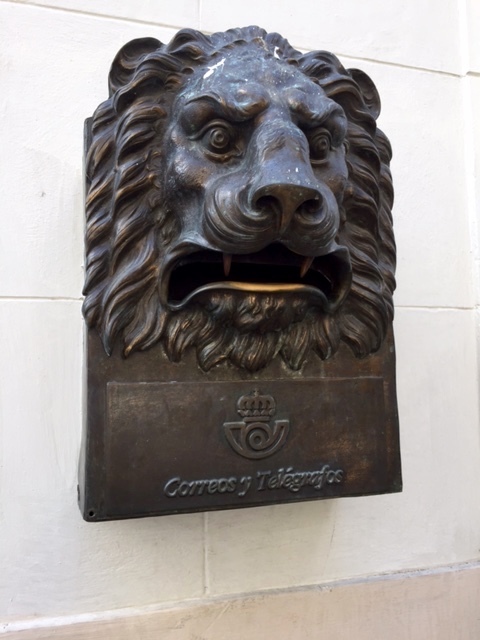 Heading back to Old Havana, we stop to mail a card at this mailbox at the post office. 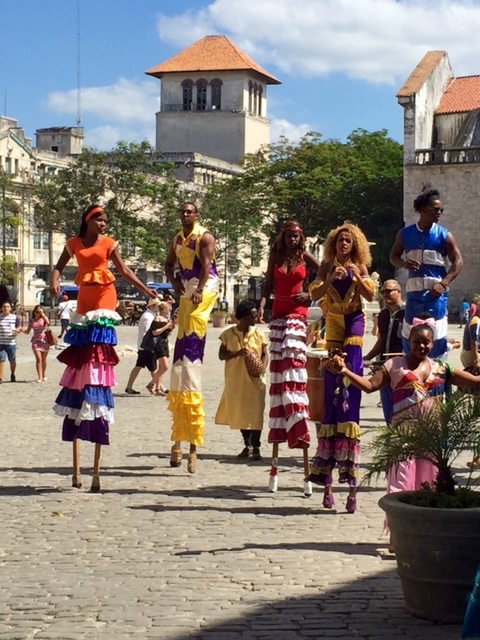 Continuing our visit of Havana, we watch this dance group near San Francisco Square in Havana. Chanel, thank you so much for the photos. 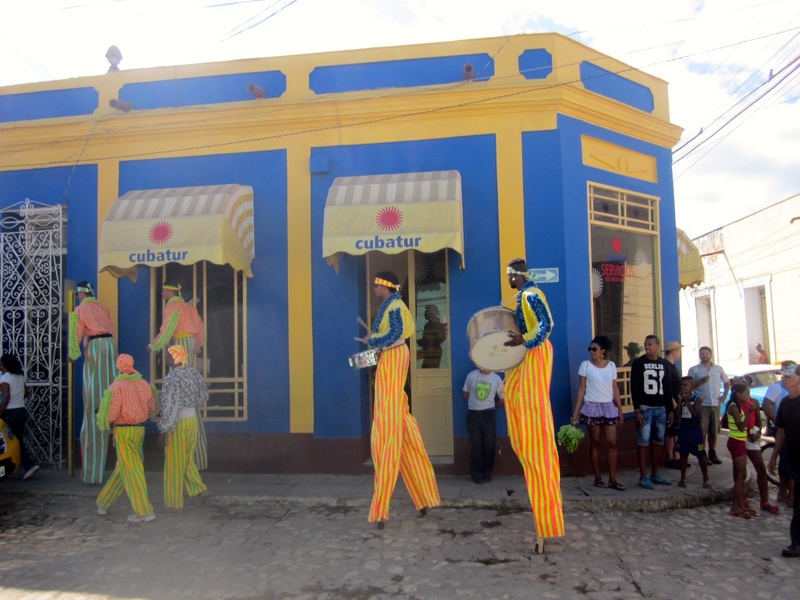 What fun you must be having and your photos bring great memories for us and all who have visited Cuba. Next time we will see more of Chanel’s photos. 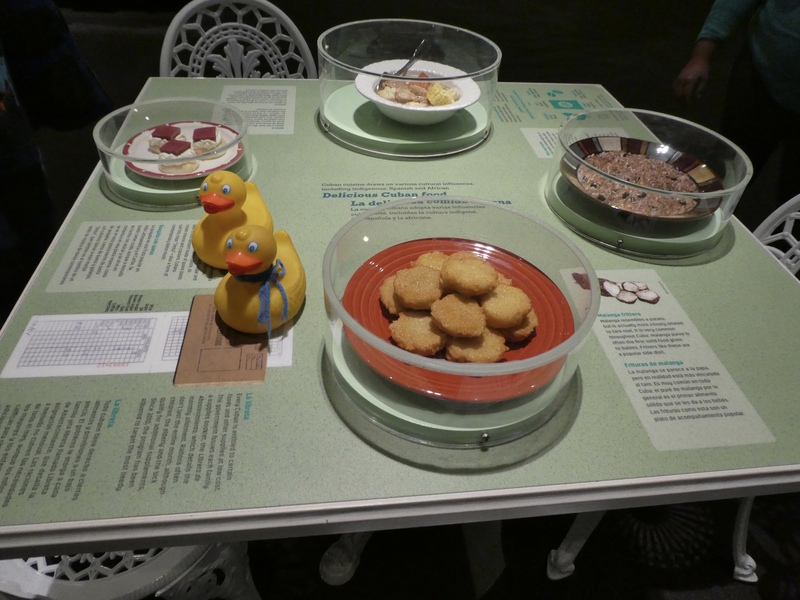 Zeb the Duck here. 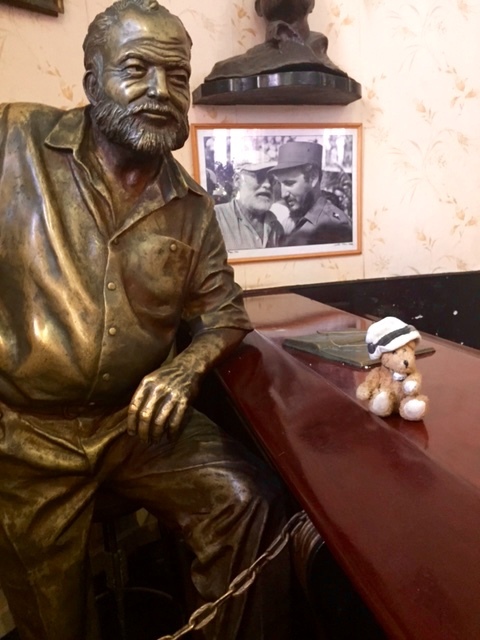 My friend, Channel the Bear, was in Cuba again. She and her mom go often. 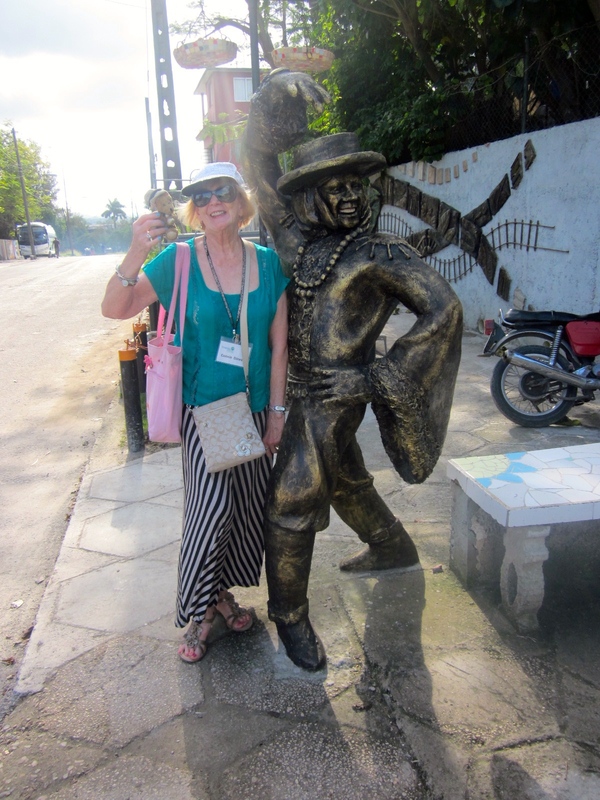 Her mom is a travel guide to Cuba for Friendly Planet. Channel is sitting on a canon at the Hotel Nacional in Havana. Channel on a canon at Havana, Cuba’s Hotel Nacional. When I was there, this was my favorite hotel in Havana. In the 1950’s, before Fidel Castro took power, this was the hotel for the rich and famous Americans. They still have great old photographs there. 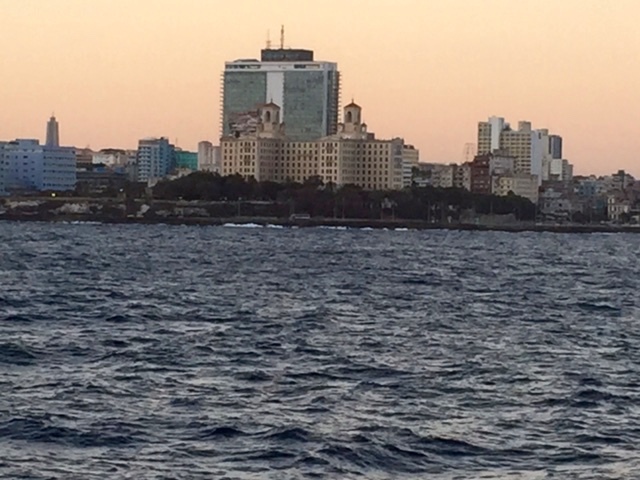 This is a restaurant in Havana, and that large building behind is the Hotel Nacional. 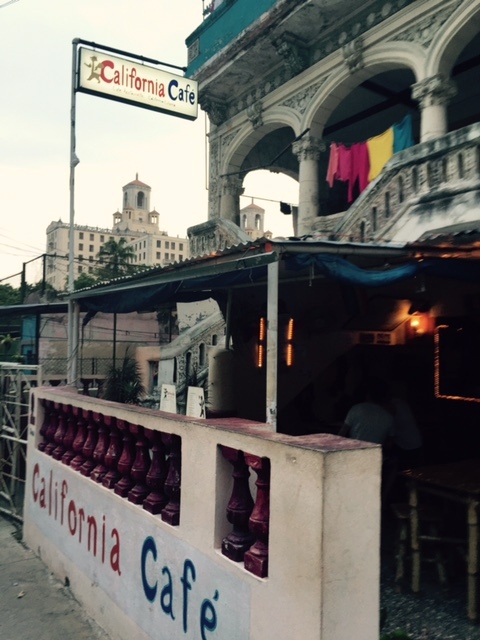 California Café in Havana, Cuba with Hotel Nacional in background. The California Café name says the Americans have not been forgotten. 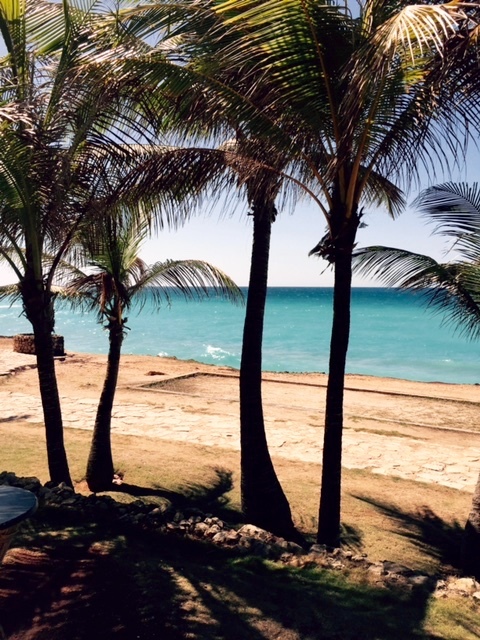 This last photo is the famous Varadero Beach. Varadero Beach, Cuba. Beautiful Caribbean Sea. This is great Channel. When we were in Cuba, we were not allowed here. It is beautiful. 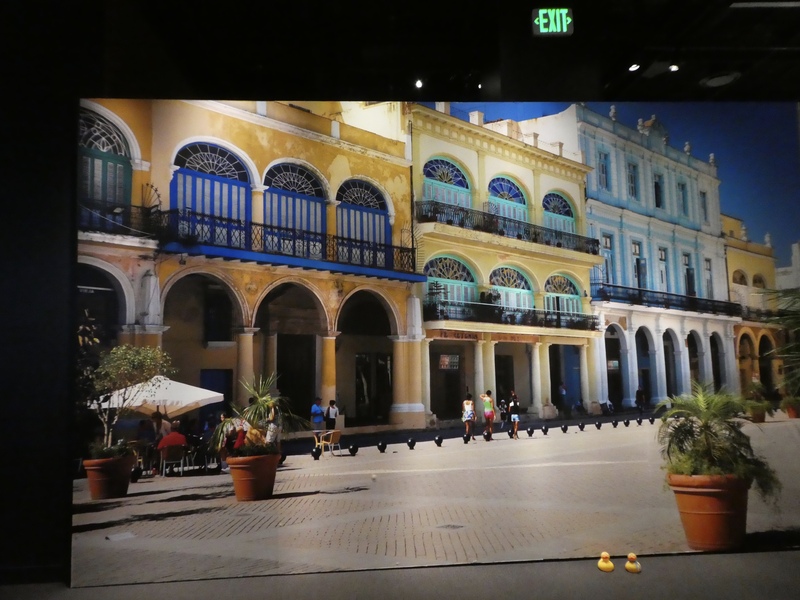 We, the Colorado Traveling Ducks, hope you will go to Cuba soon to see what it is like now. 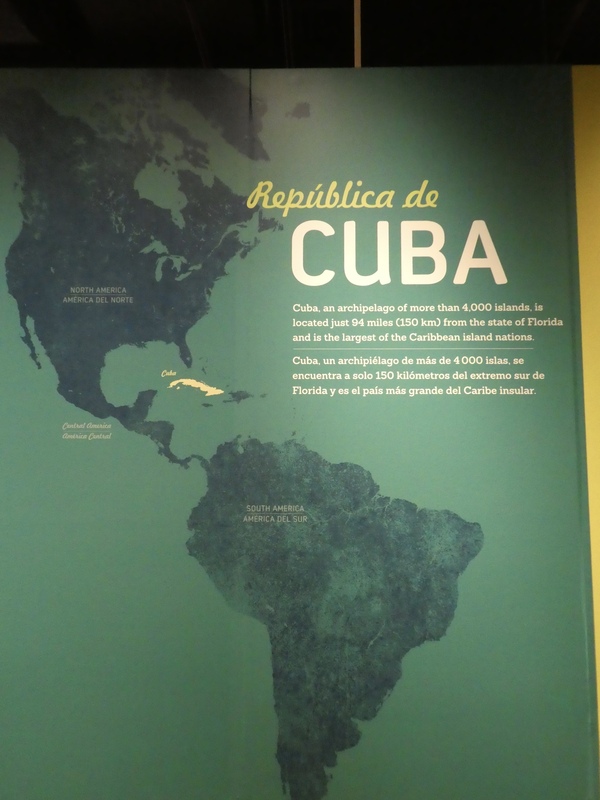 Cuba may be opening up to American tourism. We understand that Carnival Cruise line has a subsidiary company that will begin cruises to Cuba twice a month. The cruises may begin early May. Go soon, before it changes. 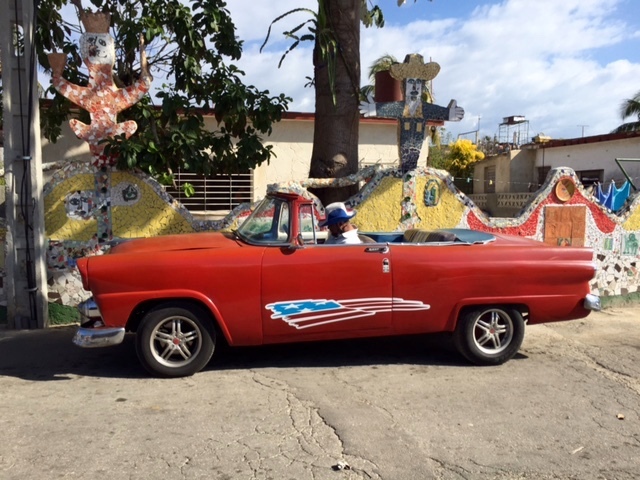 We loved the friendly Cuban people and we think you will too. Thank you Channel for these great photos. Today, I Zeb the Duck, want to show you where my friend, Channel the Bear, has been. You may remember that Channel and her mom go to Cuba frequently. Channel’s mom is a tour guide for Friendly Planet trips to Cuba. 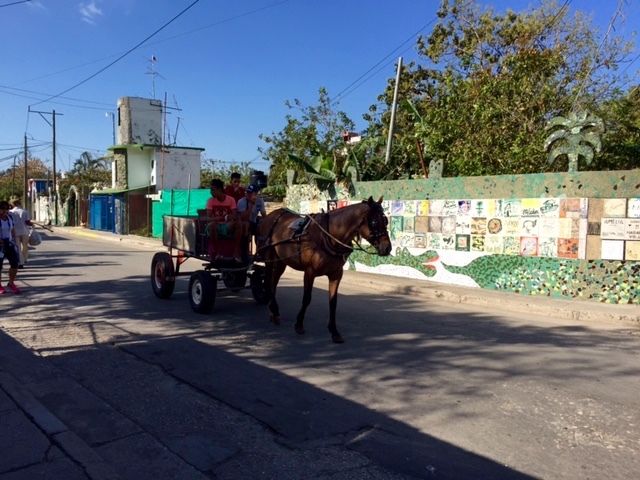 Channel sent this photo from Trinidad, Cuba. Often animals from towels are left on the beds, but look at this. 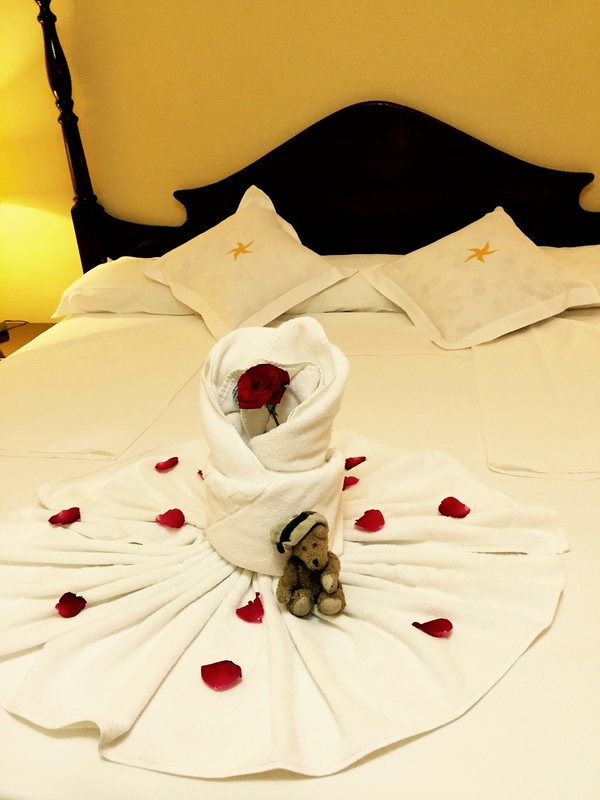 Channel also received a rose and more rose petals on her towel. This is beautiful, Channel. Thanks for sharing this photo with us. 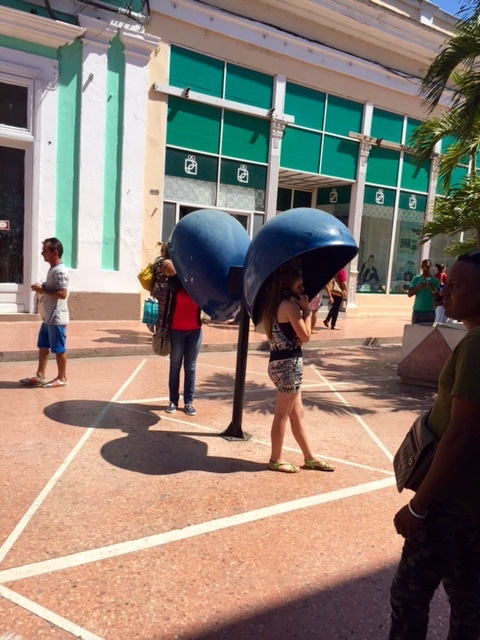 We love to hear and see what you experience in Cuba. I hope you remember my friend Channel, the cute little brown bear. 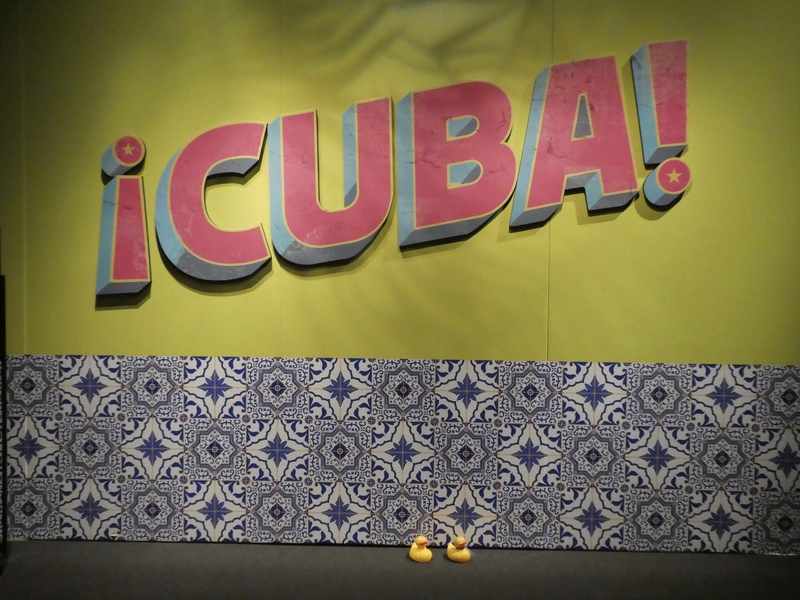 Last year Channel and I, Zeb the Duck, visited Cuba with our moms. Channel’s mom was the tour guide for our group. Channel and her mom were in Cuba again in January and they sent us some photos. 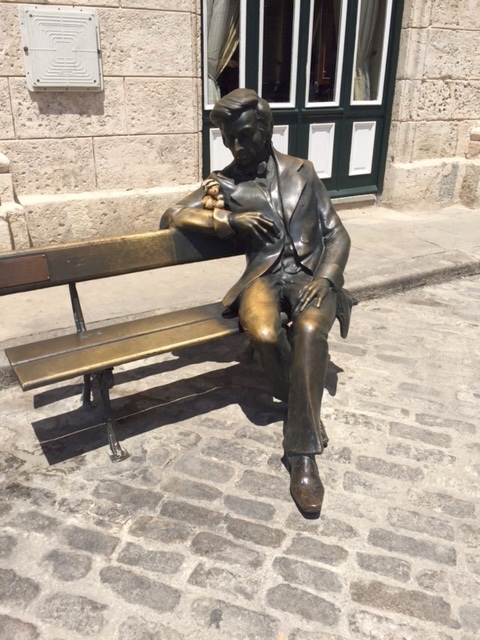 Channel is sitting on this chair at Las Terrazas, near Havana. 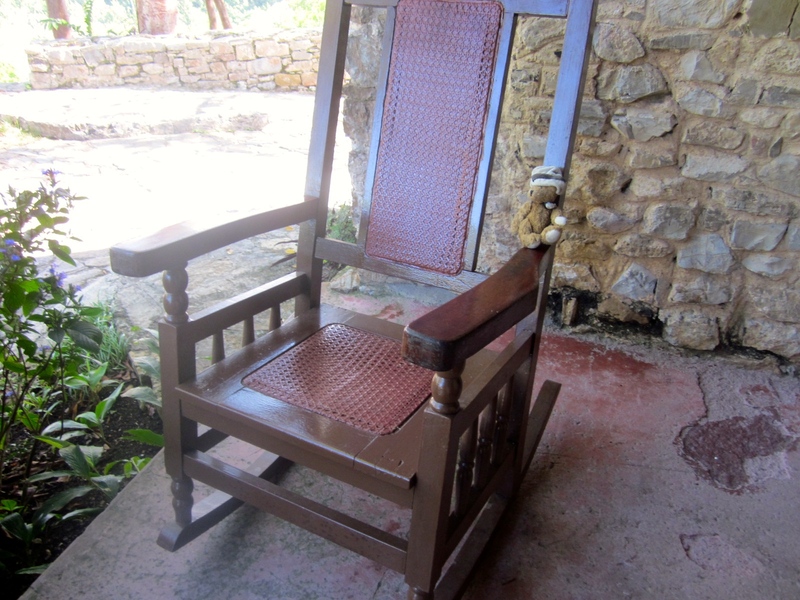 Las Terrazas is a perfect place to sit in the rocking chair. 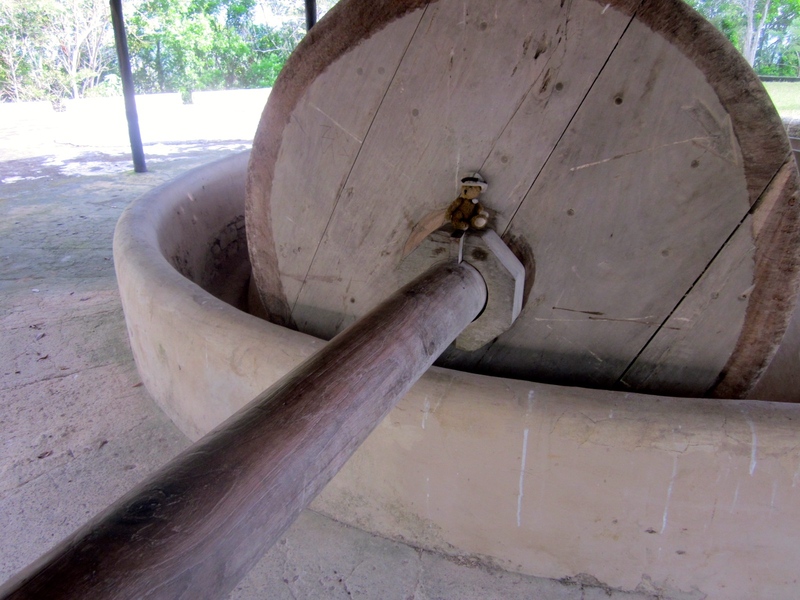 and was used to grind coffee bean, also at Las Terrazas. I liked this picture from Muraleando in Havana. 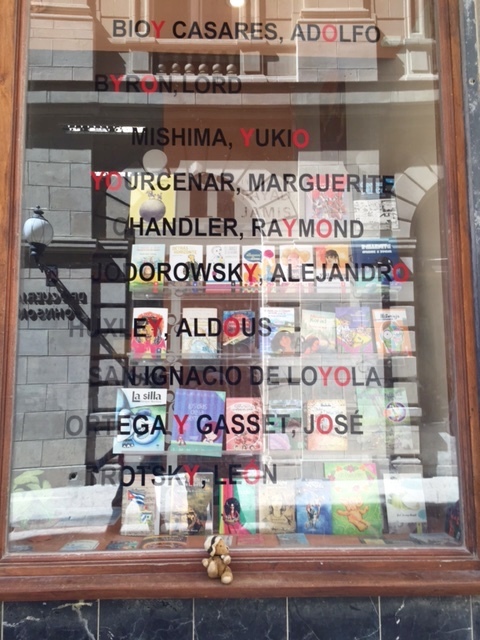 Two local artists, Manuel (Manolo) Diaz Baldrich and Ernesto Quirch Paz started teaching art in a school. Soon there was a scheduling conflict and the artists began teaching outside on the street. This area, Muraleando, is now a community development project. Here they are at Hemmingway’s house, Finca Vigia, near Havana in the fishing village of Cojimar, the inspiration for the fishing village in The Old Man and the Sea. 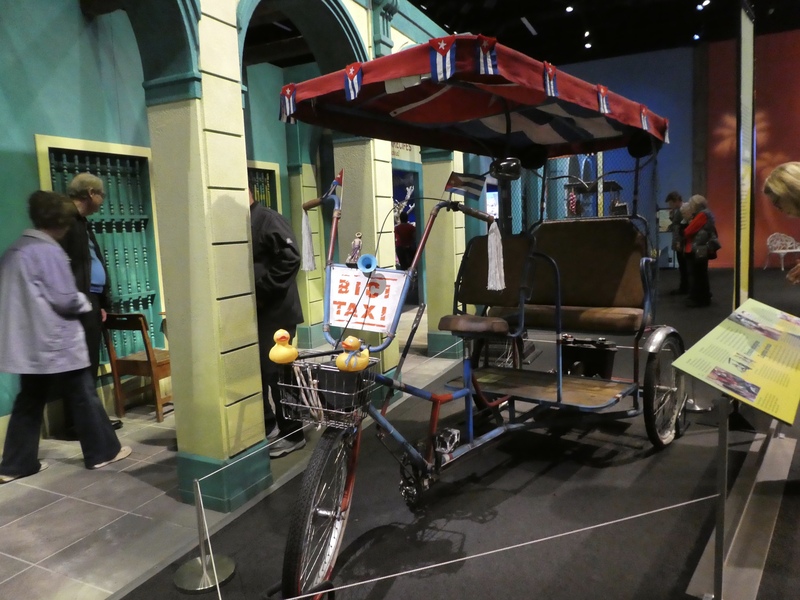 Isn’t this a great taxi?? 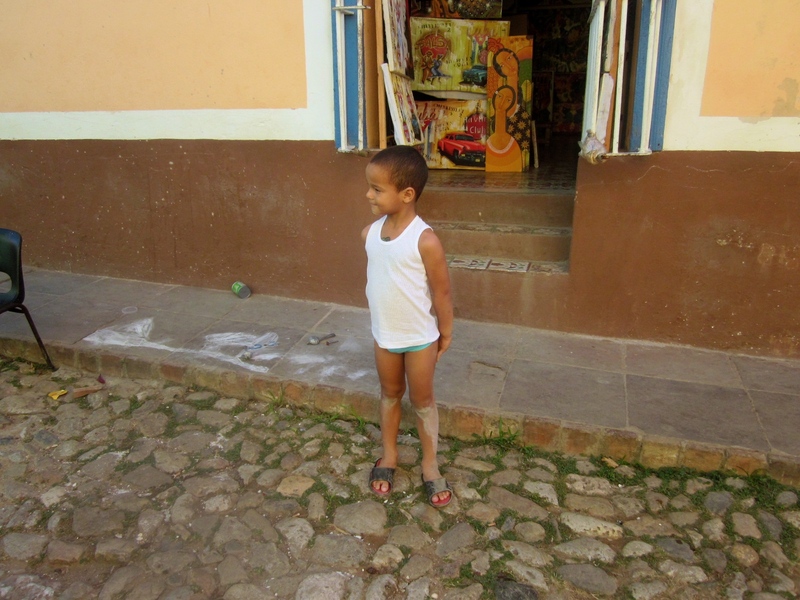 When Channel was in Trinidad, Cuba she talked to this young boy. 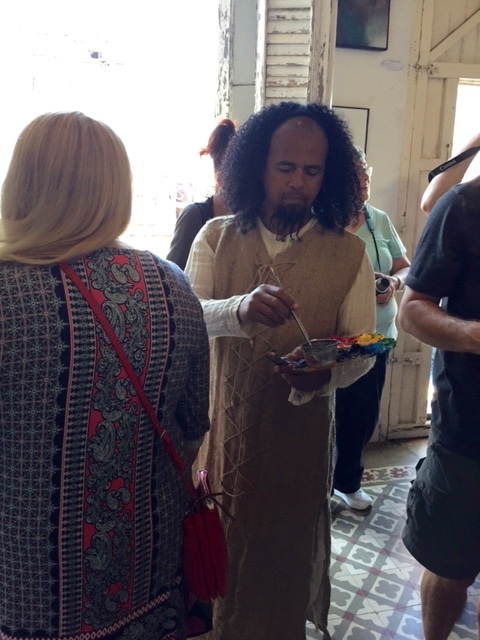 Also in Trinidad, there was a cultural festival. 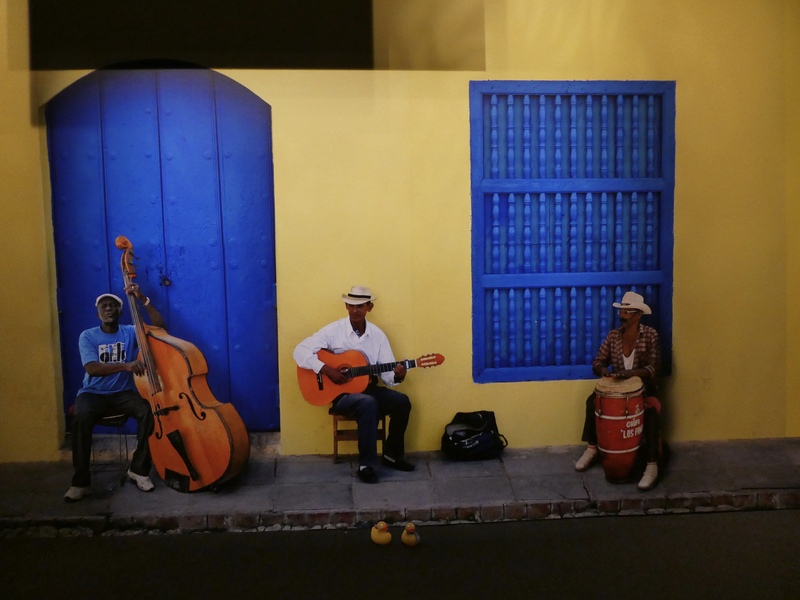 If you have not already read them, you may enjoy my photos and stories from Cuba. I hope you check them out. Thanks for sending these wonderful pictures, Channel. 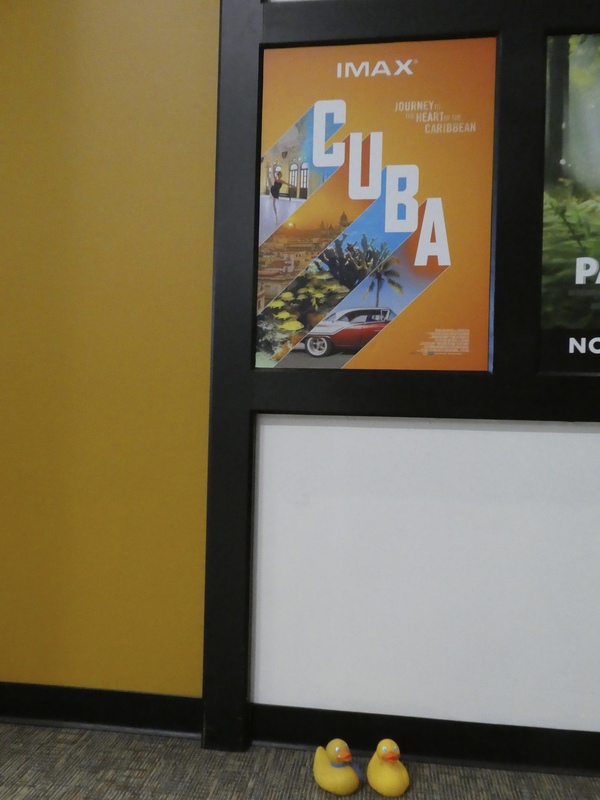 I know you had a great time visiting Cuba again!